It began with long time federal Conservative MP Tony Clement telling party leader Andrew Scheer he only sent explicit photos of himself on social media – once. 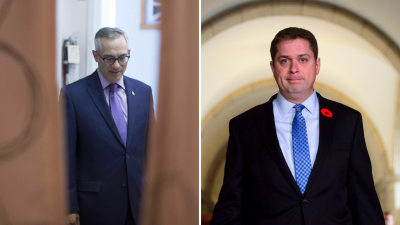 After other allegations began surfacing, Scheer then asked Clement to leave caucus. He stepped down from his role as justice critic last night admitting to sexting and claiming someone was trying to blackmail him. But now Clement has acknowledged there were numerous interactions with individuals online, but denied any harassing behaviour. Now a number of women have taken to social media about their interactions with Clement. One says she did not know Clement personally, but noticed he had ”liked” her Instagram pictures, and came to realize he did the same with some of her friends. She says it made her really uncomfortable and tried laughing it off, until the news broke.